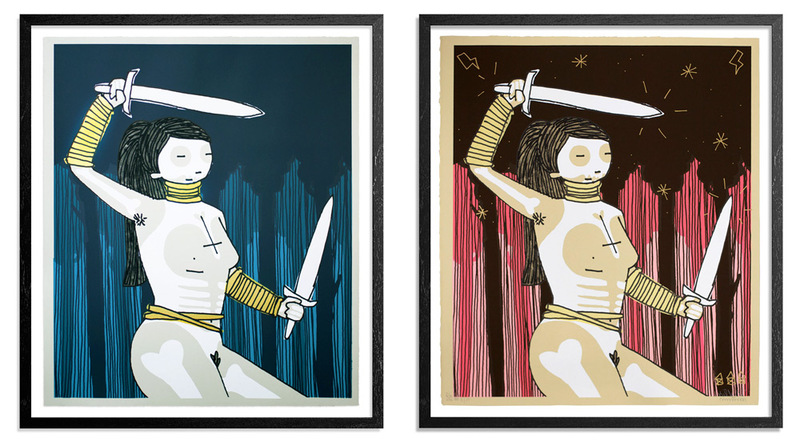 Returning with his most elaborate hand-painted editions to date, England’s Kid Acne is back with Salient Sentinel available in two extremely limited variant editions, along with two wheatpaste originals attached to reclaimed wood. Check out the video below, and read on as we catch up with the multi-talented Kid Acne for a behind the scenes look at his latest editions available exclusively on 1xRUN. . .
1xRUN: Tell us a little bit about this series, anything immediate you would like us to highlight about this imagery? Kid Acne: This is my 5th edition with 1xRun and by far the most ambitious to date. As with the other releases, I have hand-printed these myself, however I usually stay within the relative comfort zone of 1 – 3 colors. This time we’ve gone for a 6 color design, all of which are hand-embellished with india ink. There is also a 2nd color variation (with more hand-customization) as well as 2 originals, collaged onto reclaimed wood. It’s been a pretty labor intensive process, but I’m really happy with how the whole set has turned out. 1x: Was this image part of a recent theme, series or show that you have? 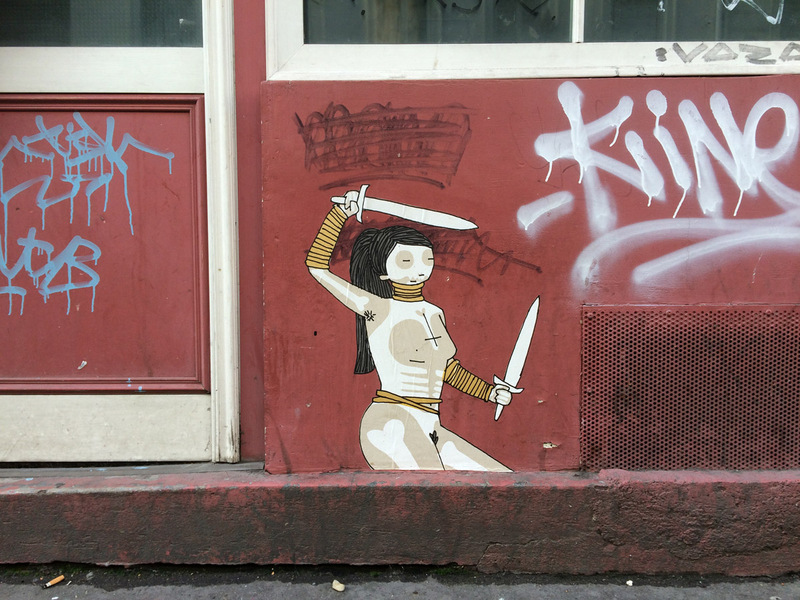 Kid Acne: Since I started making the Stabby Women wheat-pastes back in 2008, I’ve always made originals on wooden tiles as a souvenir of the street work. The wheat-pastes by their nature are ephemeral, so it’s nice to have some longer lasting examples for posterity. These 2 are made on reclaimed wood, which I salvaged from a local skate park. Each one has a different skin tone, but they are made using an identical process to the ones you see in the street. 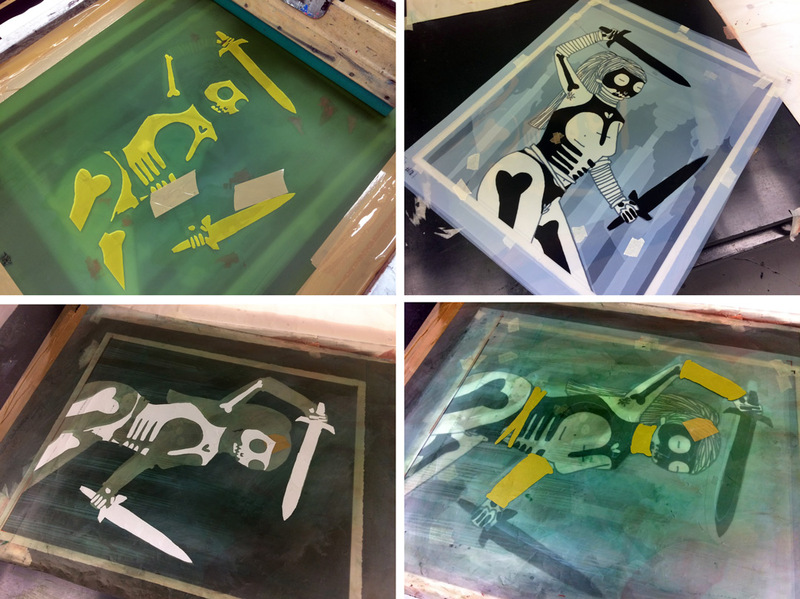 1x: Tell us how the idea and execution came about for this image and these screen printed editions? 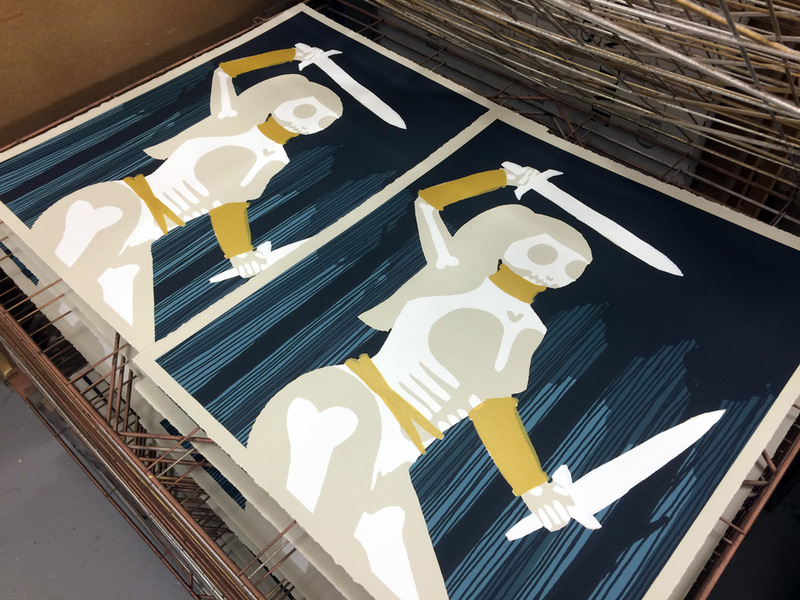 Kid Acne: I’ve made a number of multiple layer prints for other artists over the past few years and found the process really rewarding. Even though I wasn’t printing my own work, there is still a satisfaction in seeing the final image come into alignment after so many hours spent in the studio. As I said, I usually stick to 1 – 3 colours for my own work. I do love the perimeters of working with a limited pallet, but I also felt it was time to challenge myself and step things up a notch. So here we are. Kid Acne: I probably spent 2 or 3 weeks in the studio making this series of work. 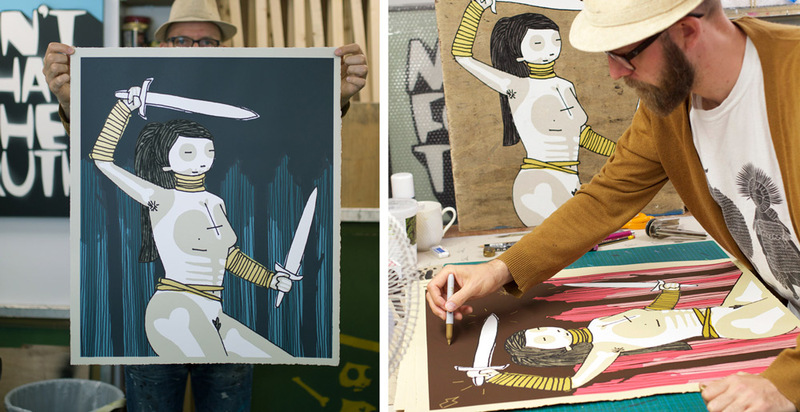 Kid Acne: Since the last edition with 1xRun, I’ve gained more experience as a print-maker. As well as making numerous prints for other artists and designers, I’ve also taught screen print workshops at Sheffield Institute of Arts and spent a year working as a print technician at the Royal Collage of Art in London. Aside from the multiple layers, I’ve chosen inks and paper stock, which I feel compliment the image and add a higher level of production value compared to my previous work. Kid Acne: There are tons of artists releasing print editions these days, but I’d say there are very few who are printing the artwork themselves, or who have invested interest in the screen printing process. If you’re looking for a signature piece made 100% by the artist, this print is for you. Kid Acne: I’ve spent most of my time either in the studio or painting murals. It’s been a good year so far. 1x: Any recent shows or up and coming exhibitions you’d like to share? Kid Acne: I decided not to do any exhibitions this year. I have plans for a big show next year, but in the meantime I’m enjoying making work at my own pace. I’m also writing music again. I’m currently sat on 2 albums worth of content, produced by Spectacular Diagnostics in Chicago. Stay tuned! 1xRUN: Where else can poeple find you?